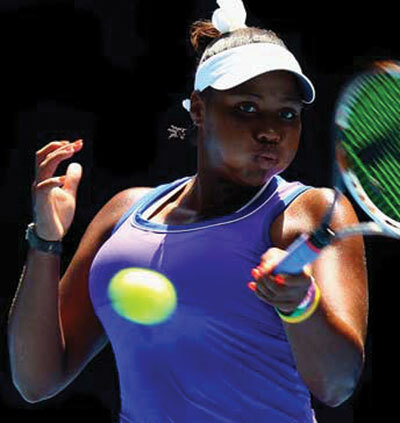 Unique Sports is proud to announce a multi-year Tourna Grip agreement with ITF #1 Ranked Junior Taylor Townsend. Taylor is a loyal user of Tourna Grip. We’re excited to formalize the partnership, especially with a Georgia native, since that is where TOURNA GRIP is based! She has enormous potential and has an impressive list of accomplishments that include being the first American to hold the year end #1 junior girls ranking since 1982, 4 time grand slam champion, and most recently winning the junior Australian open in singles and doubles. Taylor has turned pro this year and we look forward to cheering her on! She joins fellow WTA Tourna Grip endorses Christina McHale, Yaroslava Shevedova, Genie Bouchard, and Alexa Glatch, as well as a long line of tennis greats and current pros that rely on Tourna Grip.